UWGB was recently awarded a grant by the National Endowment for the Humanities and the American Library Association to offer programs about Latino American history and culture through the Latino Americans: 500 Years of History project. 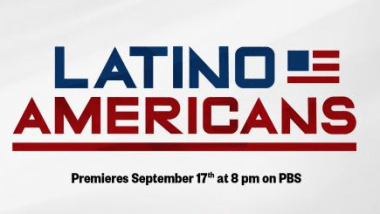 The project is in connection with the PBS 6-part documentary series titled Latino Americans scheduled to premiere this fall. The grant will be used to showcase the documentary, guest speakers, book discussions, and other programs on campus and in the community. Several faculty and staff at UWGB worked together to secure the grant and organize the programs: Co-investigator Marcelo Cruz, Urban and Regional Studies; Co-investigator Aurora Cortes, Education; Co-investigator Gabriel Saxton-Ruiz, Humanistic Studies; Paula Ganyard, Director of the Cofrin Library; and Mai Lo Lee, Multicultural Adviser for the UWGB American Intercultural Center. According to a press release by the Office of Grants & Research, the following are sponsors and collaborators: UWGB Organizacion Latino America, UWGB American Intercultural Center, Casa Alba, Mayor Jim Schmitt (City of Green Bay Government), Neville Public Museum, and Scholarships, Inc. The Cofrin Library will hold two book discussions this coming academic year in support of the program. Additional information will be posted closer to the time of the events. Keep up to date with Cofrin Library News by following us on social media: Facebook, Twitter & Instagram. The Library is turning 40!